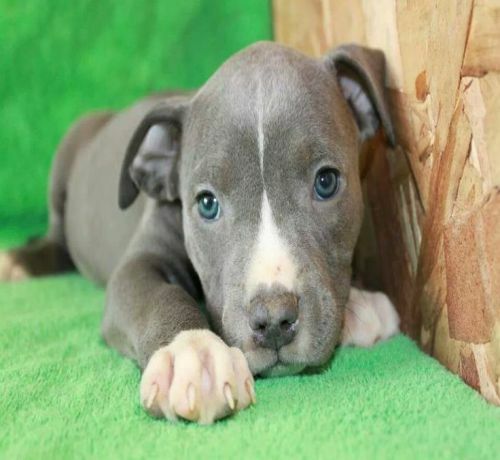 Facts and Tips About Tri-Colored Pitbulls The standard pitbull has normally two-colored coats, but there are pitbulls having more than three color coats, thus they are named as “tri-colored bullies”. The most common designations for tri-color bullies include blue-ti, black-tri, fawn tri, champagne tri and chocolate tri that mostly rely on their primary color. Tri-colored pitbulls that have aesthetically pleasing tri-colored coats are popular to dog lovers. Because of the rarity of tri-colored bullies, they are becoming increasingly popular and on demand among dog lovers and pet owners. The reason behind tri-colored pitbull’s rarity is that breeders have not breed tri-colored dogs for many generations because they were usually mistaken as mixed breed bullies. The other reason why tri-colored bullies are rare is because of their Agouti genes, determining the color of a pitbull’s coat produced basing on the Agouti locus alleles found in their bloodlines. Tri-colored bullies variations include A (solid black dominant color with chocolate, blue and black variations), Ay (predominant yellow color with red tri-color and buckskin bullies), and At (producing recessive solid tan-colored bullies). How do breeders produce a tri-colored bully? Pitbull breeders carefully pair two pitbulls in order to get the desired tri-colored coat such as pairing a black and tan dog inheriting two copies of At or tan-point gene from its parents. The At gene or tan-point gene is a recessive gene that remained hidden for many generations in the pool of gene, and they are unexpectedly popping-up even if the pitbull breeder is not intentionally breeding a tri-colored bully. What are the differences between normal bullies and tri-colored bullies? The only difference is the color and pattern of their coats, but the personality and temperament are the same. The typical pitbull is friendly, gentle, playful and an ideal companion to its family and owner regardless of its coat pattern and color. Your typical pitbull is also tolerant to children and even with strangers. Dog lovers choose to adopt tri-colored bullies because they are rare and their aesthetically appealing coat color and pattern, giving them great love and care like normal bullies.